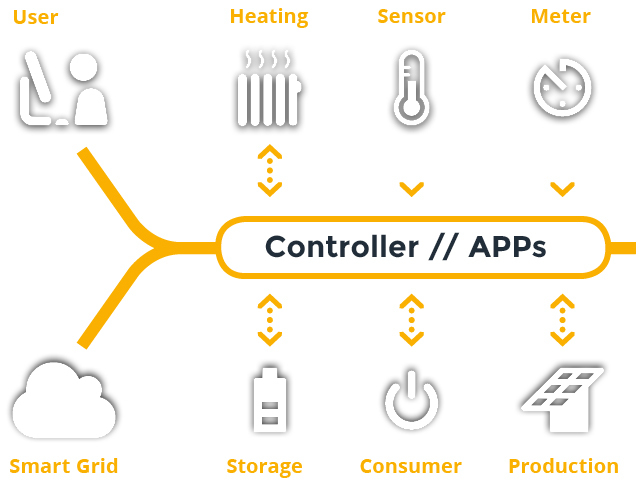 With its solutions, EMPURON provides innovative technologies to design energy management systems in long-term using extensions - as it is known from the mobile phone market. Individual modules can be retrofitted or update as needed. This is accomplished of course, in compliance with strict safety guidelines. In Metering EMPURON provides hardware and software for the collection of counters of different manufacturers. For example, Meter2SCADA enables the highly cyclical meter reading using the protocols IEC 1107 DLMS or Modbus. Using the comprehensive integration system EMPURON manages to utilize almost all market protocols and formats on a platform and process uniformly. 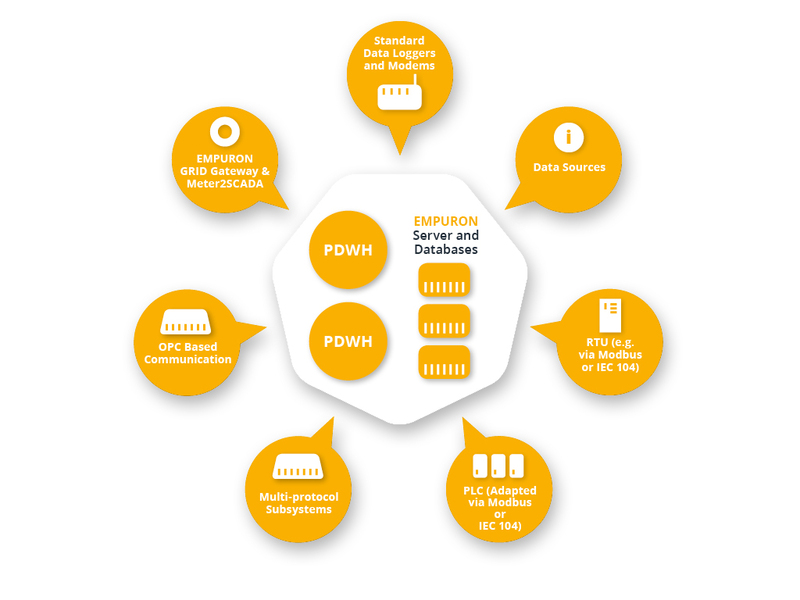 Simultaneously, an EMPURON system can be used locally or centrally as a data gateway for the built-in formats. Based on the empuron Gateway platforms single power management functions and interfaces can be added or expanded as needed - comparable to the technology, as found in mobile phones. Together with the data warehouse and artificial intelligence algorithms the APP technology of EMPURON systems are enabling variable and modeled solutions. EMPURON Display Solutions allows the Client-/Server-based presentation of plant data for energy processes. The structure of the self-running presentation is individually configurable. If several installations on a server are recorded, arbitrary plant data can be used for presentation. Therefore, different displays can be realized for different display locations.